So, you’re making the leap. 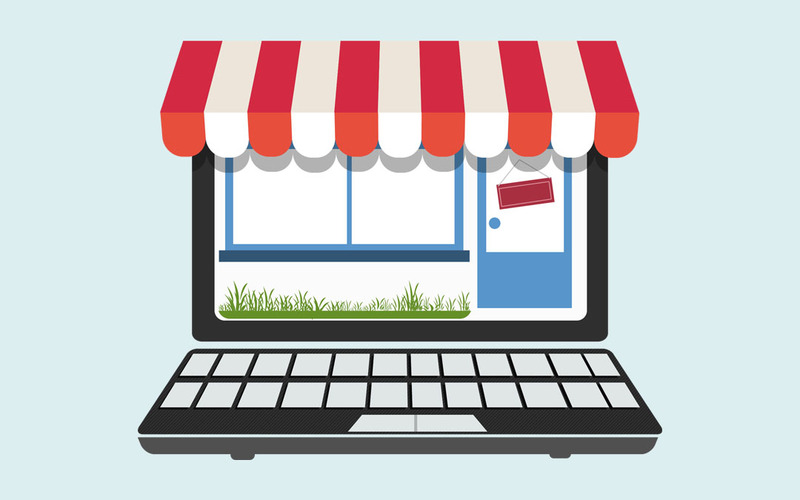 Your brick-and-mortar store is running swimmingly, and you’re going to sell online. That’s awesome. It’s also a lot of work—but it’s also worth it. Once you create your website and choose your e-commerce platform, those customer orders will roll in and it’ll be time to pack them. That means choosing your packaging supplies and engaging in tactics that’ll make your packing efforts fast, efficient and effective. Here’s a few packaging tactics that’ll help your physical store start selling products online. Boxes are a packaging staple for a reason. But there are other options that’ll help you save money when selling products online, or make you look even better than you already do. Dimensional weight charges can impact your shipping costs hard, so using bubble mailer envelopes can help reduce the money you spend. Everyone ships products in regular slotted carton boxes, so front-lock mailers can be an attractive way to stand out—locking flaps create an unboxing experience, while dust flaps keep things clean inside. Don’t forget that customers will want to make returns, so making your packaging as return-friendly as possible is a smart idea. Plenty of mailer envelopes and boxes come with easy-tear openings (so customers don’t destroy the shipping container), and some even come equipped with a second peel-and-seal adhesive strip so they can be easily and securely re-sealed for the return trip. Any way you can make packaging more return-friendly for your customers, you’ll end up making the return process easier for you and your team. If you’re an eco-conscious brand, eco-friendly mailers can send the message that you care about your brand’s impact on this planet. And as everyone knows, seeing a brand make even a little bit of effort towards being environmentally-friendly while selling products online can eventually pay off in big ways down the road. With the sheer number of customer orders now out for delivery at once, it can look like a sea of kraft boxes out there. Don’t let your brand drown in it—consider the benefits of custom packaging instead: your logo and your brand colours on printed boxes, tiled onto tape, or patterned across tissue paper. It can even be as simple as a glamour mailer, or your logo on a sticker. You’ll look like a slick, dedicated and well-established business. No getting lost at sea for you and your products. Organization is often the key to efficiency and productivity. And when you’re trying to run a physical store, fulfill customer orders and manage limited storage space? organization is mandatory. That’s where packing stations can help you and your team make quick work of online customer purchases. Though setup and features can differ from station to station, all the best ones have the same thing in common: places to hold supplies like corrugated boxes, mailer envelopes and bubble cushion, while having a large, flat surface for packing up products. Whether you buy a pre-designed station, or build one yourself, you’ll find it a worthy investment of your time and money. You’ve got quality products and quality packaging supplies. Now you need to put them together, and that takes quality packing skills. It’s not enough when selling products online to simply put a shirt in a box, print a label and send it on its way. Your employees need to know how to choose the right shipping container (box or mailer? ), what void fill is best (bubble wrap or tissue paper? ), and how to seal it right (packing tape or the water-activated kind?). Take the time to teach them the basics, and you’ll suffer fewer packing errors while keeping customers happy with well-packed shipments. Competition is fierce—in any part of the retail world. It’s not enough to just stand out in the moment, you’ve got to be memorable to keep customers coming back. One of the best ways to be that, in addition to custom packaging and unboxing experiences, is to show them some genuine appreciation. And one of the easiest ways to do that is with a thank-you card. Whether it’s folded in half or flat like a postcard, funny or heartfelt, a ‘thank you’ goes a long way. Don’t underestimate it! It’s said that when you start a restaurant, one of the best things you can do is offer takeout. It provides a quick in-and-out for customers which creates high turnover and keeps your food fresh. More than anything, it’s the simplicity and ease of takeout that attracts people and keeps them coming back. For the online arm of your business, offering customers the ability to order online but pickup or return items at your store creates simplicity and ease. Those benefits will keep them coming back. When you’re adding e-commerce to your existing brick-and-mortar stores, there’s a lot of things to figure out. Luckily, with a little planning and The Packaging Company by your side, your packaging needs for selling products online will be covered and you can focus on other things (like keeping track of all those online customer orders! ).